Every day, billions of Americans log in to Facebook to scroll through their friends' images, faces and experiences. Not so in China, where state regulators block the popular social media giant. But access to Facebook in China doesn't matter, noted Chinese multimedia artist Wen Fang at a gathering in 2015, since most Beijing residents don masks that obscure their faces to protect themselves from the city's clouds of choking smog. The city's denizens should instead create a new website called 'Maskbook,' Fang joked. The offhand comment came during a meeting of 21 artists, social entrepreneurs and eco-minded youth from a dozen countries, in conjunction with the United Nations Climate Change Conference in Paris. The association, Art of Change 21, was looking for ways to mobilize people around the issue of climate change. Everyone at the meeting was immediately struck by Fang's observation, says the group’s founder, sustainable development expert and organizer Alice Audouin. Getting people to connect to climate change can be a challenge. "We are more intellectual about it in France,” she explained. “We know about it through our minds. But in China, it is through their bodies." The physical effects of environmental degradation are reflected in all kinds of ways in China, and air pollution is an especially big health problem there. Microscopic smog particles in the air lodge in people’s lungs and filter into the bloodstream, inflaming and constricting vessels. 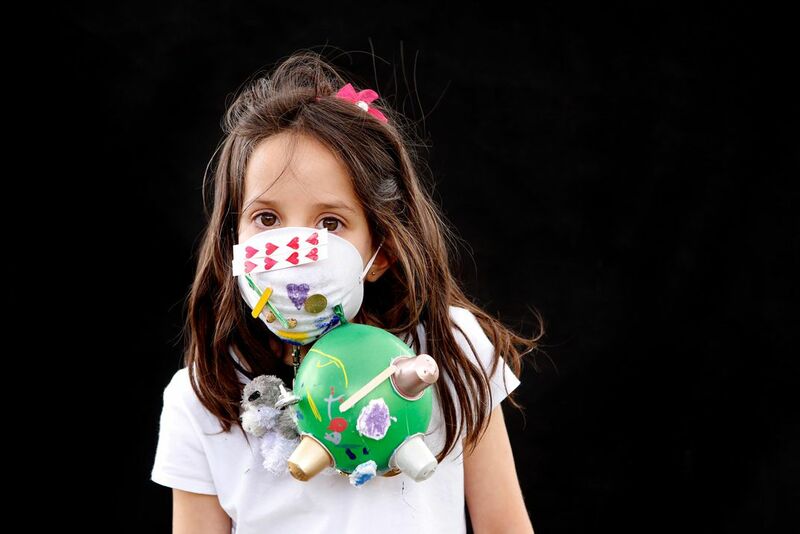 Such pollution causes heart attacks, lung cancer, strokes and asthma attacks. Beijing's air particulate levels are some of the highest in the world; the city’s persistent haze is caused by vehicles, industry and coal but is exacerbated by unusually stagnant air patterns linked to the loss of Arctic sea ice. “We felt that what Fang was facing was so real compared to some other countries," Audouin says. The urgent litany regarding the effects of climate change is by now familiar: rising seas, shifting seasons, species' extinction, superstorms. Such massive challenges can feel overwhelming, leading to anxiety and paralysis. Art of Change 21 wanted to combat such despair by empowering people to express themselves. So Maskbook was born. 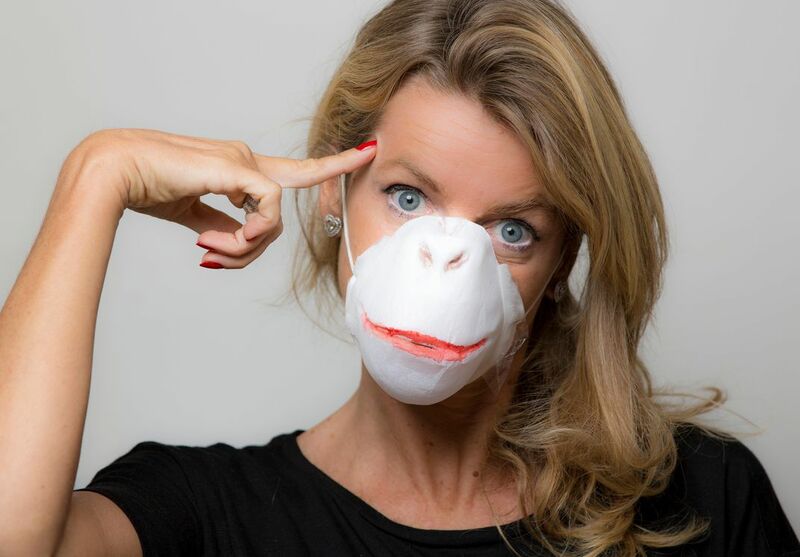 Since its first conclave in Paris, the group has hosted more than 70 workshops around the world, teaching people how to build masks, take pictures and post them to a website where others can "like" and appreciate the results. The masks let people voice their frustrations and desires while allowing them to be seen as individuals, even when their faces are partly or entirely obscured. The masks mimic the design of a face covering that loops over the wearer's ears. 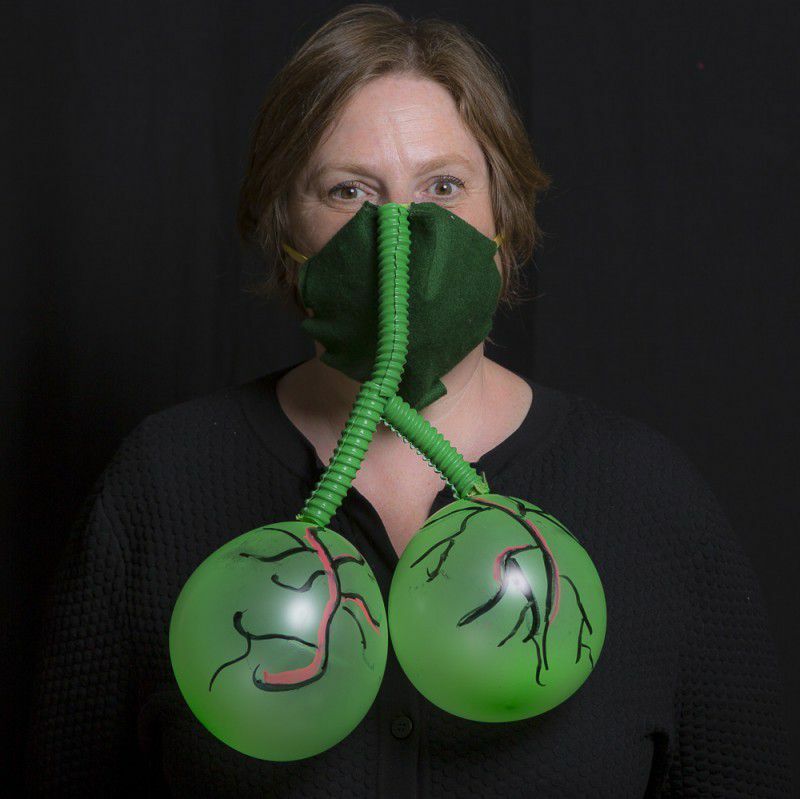 Chinese urbanites spend millions of dollars every year on anti-pollution masks, despite the fact that these simple masks offer very little protection from airborne particulates. 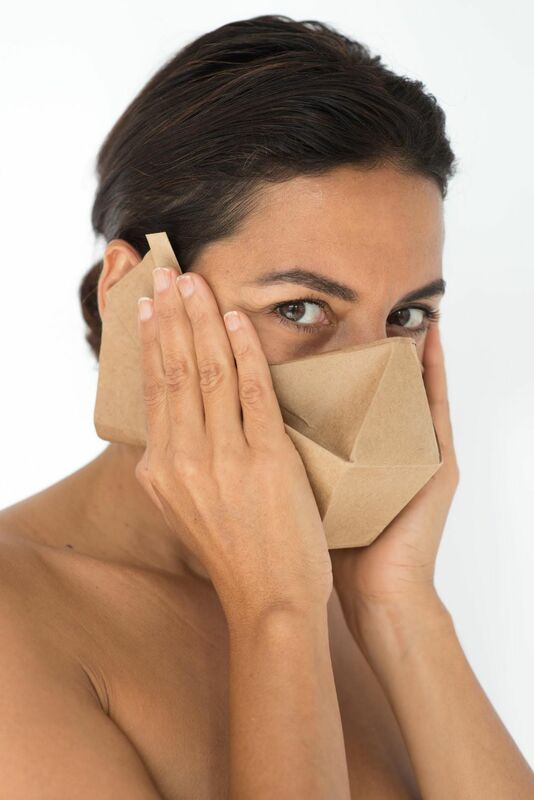 While the Maskbook masks offer no real protection, they do make an aesthetic statement. 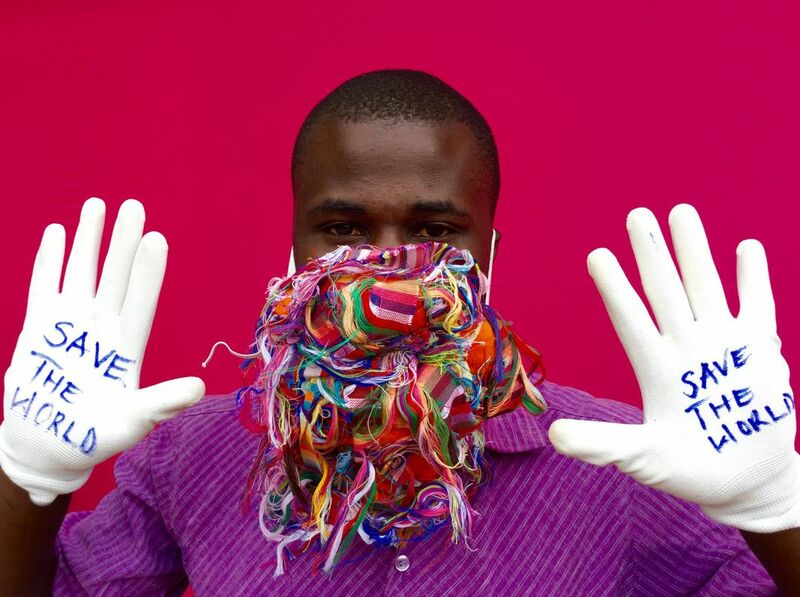 Most of the masks are made from trash, about-to-be discarded debris, or found material. They all reflect some aspect of climate change. But beyond those basics, creativity and diversity flourish. In 2016, Ally Nelson of Minneapolis, Minnesota, made a beautiful mask emblazoned with a yellow fish and in her photo, her entire head is wrapped in red mesh, symbolizing her concern for clean oceans. Myriame Fettah of Rabat, Morocco, embellished her mask with frothy folds of patterned fabric and a fan of broken sticks that remind her of nature and ecologically oriented building construction. Renowned Japanese architect Tadao Ando created a digital mask of alternating green and blue bands. "This mask represents water and vegetation,” he said. “The blue and green bandages envelop and heal the planet we have devastated." 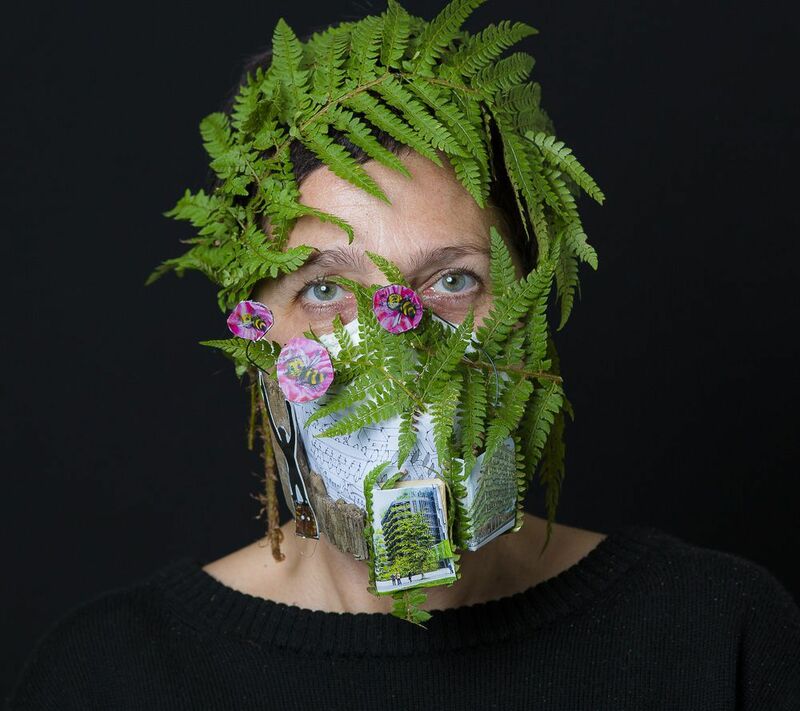 Each mask is a portrait of its maker's concerns and hopes about a changing climate. But unlike many advocacy organizations focused on climate change, Maskbook doesn’t preach. "The idea is not to be very pushy about messages," Audouin says. "That is how I see the possibility to involve people. Because when we are pushy about messages on environmental issues, people usually don't like it." The sight of a mask obscuring part of a person's face usually stirs fear or evokes thoughts of disease or contamination. But the Maskbook creations transform these associations, introducing other meanings as well. Above each mask, the eyes of its wearer shine with purpose—in some, a glint of anger can be observed, while in others, the gleam of playfulness. “The mask doesn't represent more silence, more fear and self-defense,” explains the Beijing artist Wen Fang. “It turns toward courage and responsibility. When we change together, the world changes in turn." 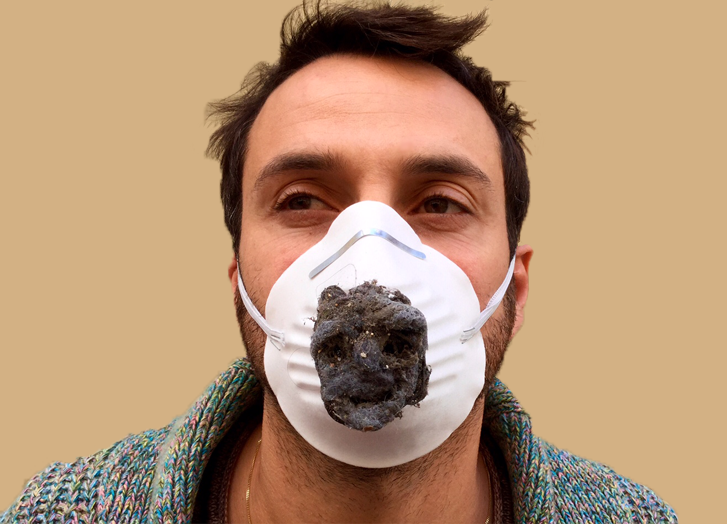 Mask-making workshops typically involve discussions moderated by experts in fields including health, air pollution and the environment to educate and inform the mask-makers. 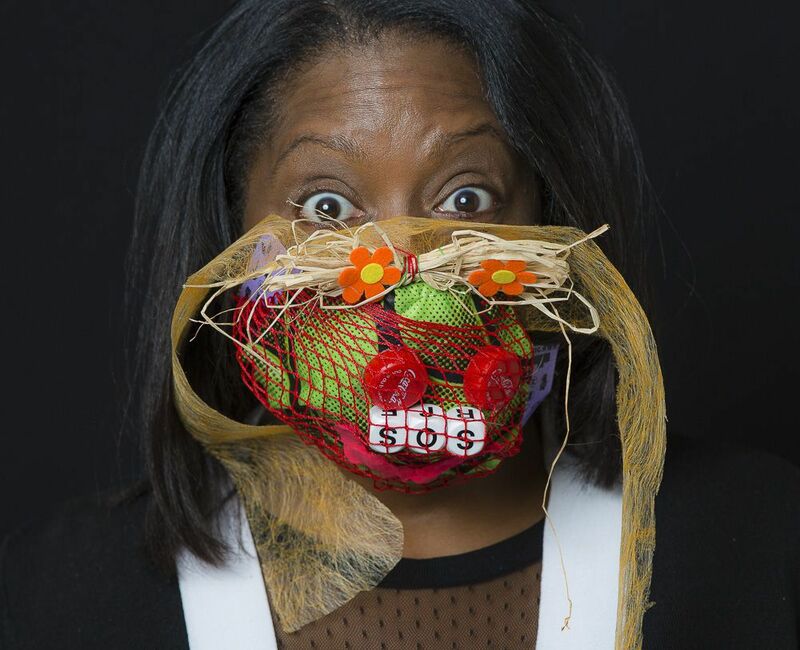 When it comes time to create masks, "creative moderators" are available to help participants think about what they want their creation to be and how to use the materials available. 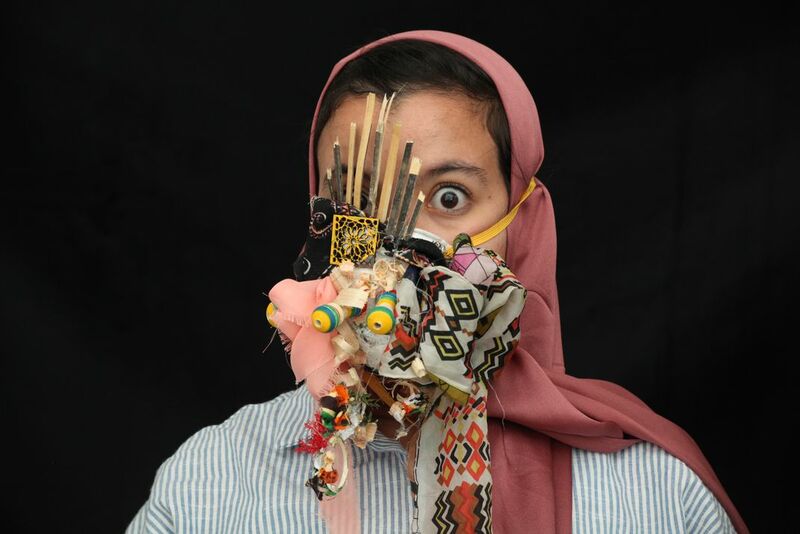 The group aims to make Maskbook as accessible as possible, with upcoming workshops set to take place in New Delhi, Tehran and Beirut. 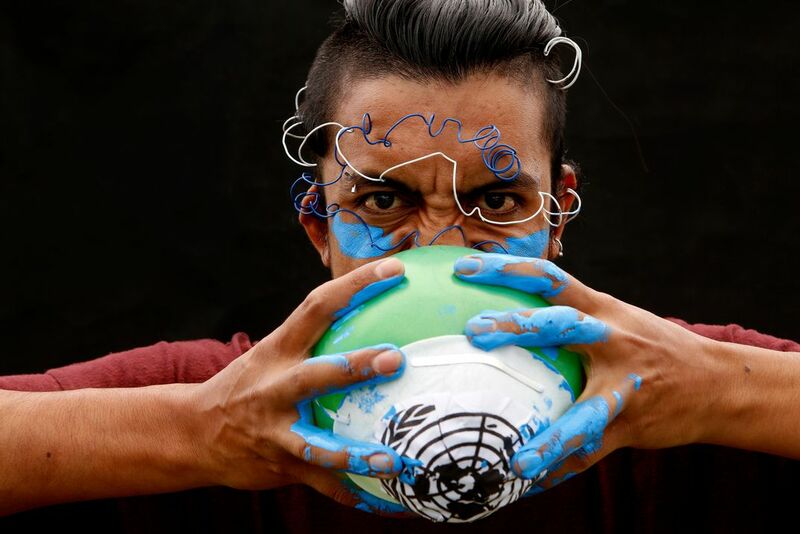 Looming large on the group's horizon is a September visit to the United States, where Maskbook will set up a photo booth at United Nations headquarters for Climate Week NYC. 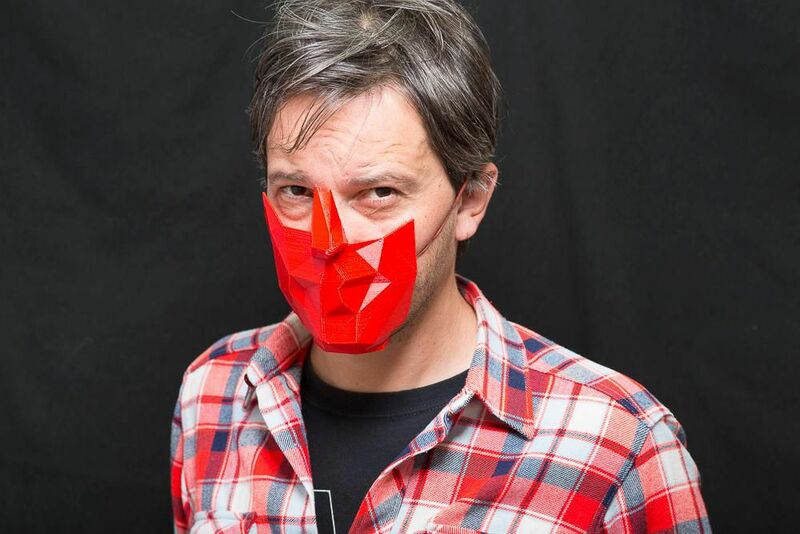 And while some of the most striking masks come out of the organized workshops, the group also encourages people around the world to create their own masks and upload images of them to the Maskbook website. Alice Audouin, the group’s founder, says she often encounters resistance to her belief in in the power of making art. When she talks to engineers and scientists about its importance in reacting to climate change, they are sometimes surprised. "Art is very important—as a part of something bigger than art. We have to be bigger than what we are, and to be bigger is to be with others." The longer-term impact of this kind of art project has yet to be seen. 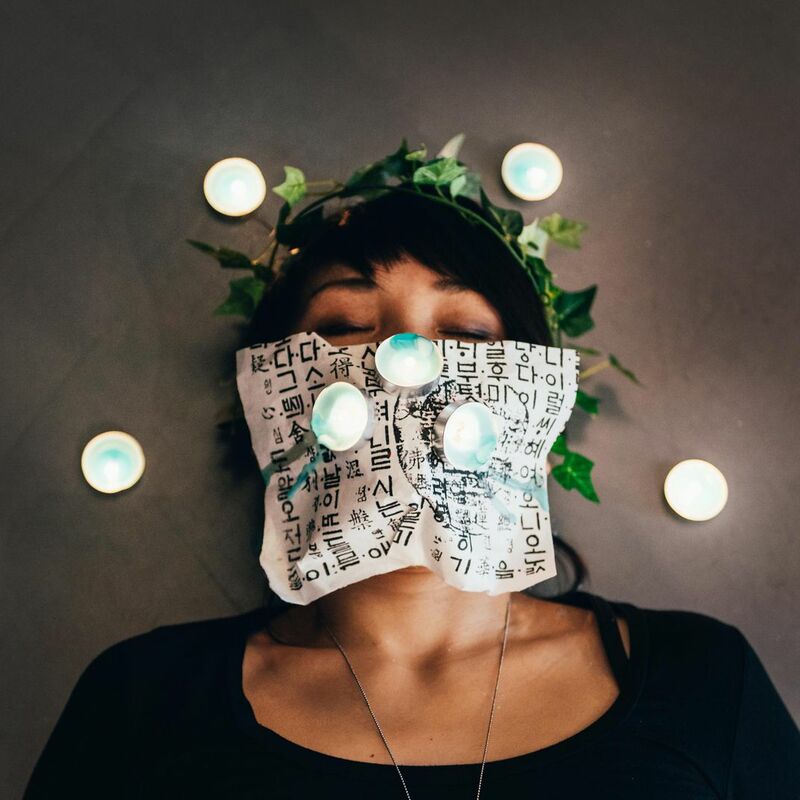 But surveys conducted by Art of Change 21 have found that after doing a mask-making workshop, participants felt more informed about climate change, as well as more optimistic about humanity's ability to address environmental challenges. "We try to give the power to the people," Audouin says. "If there is a message, it is: ‘You are the solution, the solution is in your hands.’"